Kutná Hora is about 120 km from Prague. You can drive it in about 1.5 hours and it is easy to get to by public transport. Trains for Kutná Hora leave the Prague main train station (hlavní nádraží) every two hours in the morning and early afternoon, and every hour during commute time starting around 3 p.m. The trip takes about an hour and costs around 100 CZK/person one way. The main Kutná Hora train station (Kutná Hora hl.n.) is about 4 km/2.5 miles from the city center, so it's best to transfer to a local train after you arrive in Kutná Hora. There's always one connecting with the arriving Prague train and you'll have about five minutes to transfer. The ride into town takes six minutes. When buying your train ticket in Prague, make sure you buy one for Kutná Hora město (město = town), not Kutná Hora hl.n., so you're covered all the way into town and don't have to buy an extra ticket on the local train. 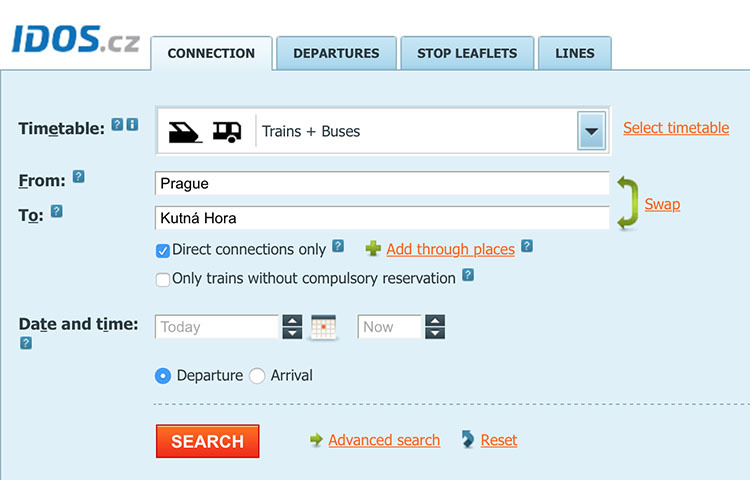 If you miss your connection at the Kutná Hora train station, you can also take the local city bus. no. 1 into town. There's usually one leaving within 15 minutes after the Prague train arrives. The bus stop is right in front of the station and the ride takes under 20 minutes. Get off at the bus station (autobusové nádraží) or the stop after the bus station (centrum). A private 8-passenger minivan (Tourist Bus) runs between the Kutná Hora train station, Sedlec Ossuary and Church of St. Barbara in town. You can always see if one is waiting at the station when you arrive. It leaves as soon as at least three people get on. Both the local train and bus (and the minivan) pass through the Sedlec suburb, so you can get off there (1st stop by train, 2nd stop by bus) and visit the Ossuary and the UNESCO-listed Cathedral of Our Lady on your way into town. Read our Sedlec Ossuary page for more information on how to get to and from Sedlec. 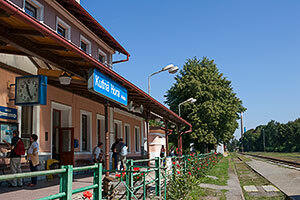 If you have a return train ticket from Kutná Hora město, you'll catch your train from there. 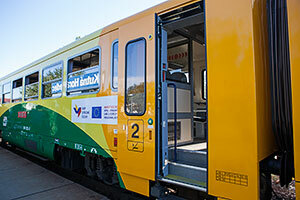 Again, you'll be transferring to the Prague express train at the main train station. You can also get to the main station by bus no. 1. It runs every 30 minutes on working days and every 1 - 2 hours on weekends and you can catch it at the bus station or the Centrum stop. The ride takes about 20 minutes. The irregular Kutná Hora Tourist Bus is also an option if you are a little flexible on time. Direct buses leave the Praha-Háje bus stop (metro line C, station Háje) every hour throughout the day and the trip takes 1 hour 40 minutes. The price is around 70 CZK/person. There is a faster bus leaving the Florenc bus station in the morning that takes 1 hour 25 minutes. The nice thing about taking a bus is that you will be dropped off right in the Kutná Hora city center. You can get off at the very last stop (bus station) or the stop before that (centrum), which is the third Kutná Hora stop. The stops are three minutes apart and both are central enough. You can catch a bus going back to Prague from the same locations. There are no lavatories on the buses.